Giorgi Baramidze to contest for President of Georgia. 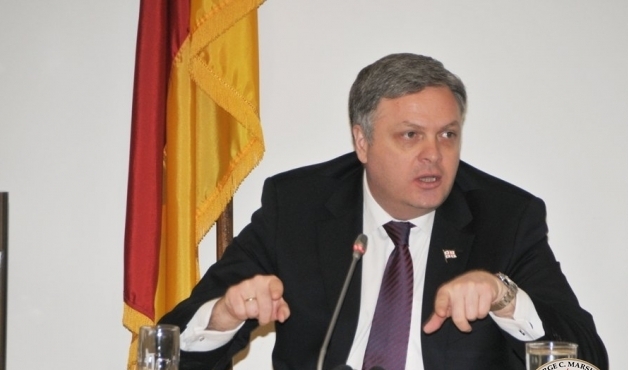 Giorgi Baramidze, the Vice Speaker of the Georgian Parliament and close associate of the current Georgian President Mikhail Saakashvili told participants at a NATO Parliamentary Assembly meeting in Tbilisi on 30 April that he will participate in American style primary elections that will select the candidate of the United National Movement for the forthcoming Presidential elections scheduled to be held in Georgia in October. Baramidze thus became the first prominent politician to announce that he will participate in the election process. The ruling Georgian Dream Coalition is expected to announce its candidate for the election in May. Mayday “struggle” in Tbilisi put Georgian police tactics on the spot.